Sun, Feb 10th 2019 Conrad Abong Franco, Jr. In our modern world today, most business owners bring their businesses to the world wide web by setting up their own website to extend their products and services in a wider range of audience. For this reason, having your own website is a great way to promote your business online. But, how to create a website? Here’s how to create a website and boost your business online using the right tools, the All In One Profits tools. 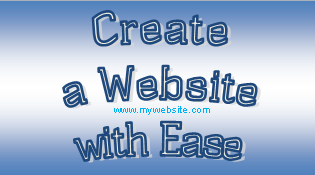 Simply follow the six steps on how to create a website with ease. Note: If you need help on how to get started, I’m just a message away on Messenger or Telegram. 1. Register to a Web Hosting Provider. Register to All In One Profits, the complete tools in setting up your website without hassle. To get started, just follow the simple steps below. 1.1. Go to the All In One Profits website or through this link. 1.3. Input your personal details. For the complete step by step guide on the AIOP registration, kindly see this post on How to Register an All In One Profits Account. 2. Choose Your Hosting Plan. Activation of your AIOP account is important for you cannot earn commissions from your affiliates if you won’t activate it. So, once you are done with account registration, it’s time now to activate your account. To get started, just follow the simple steps below. 2.1. 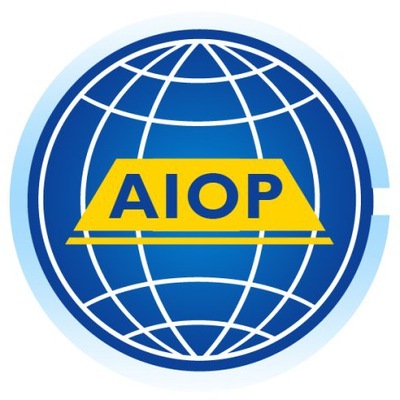 Log in to your AIOP account. 2.3. Proceed with your payment. For the complete step by step guide on the AIOP activation, kindly see this post on How to Activate an All In One Profits Account. 3. Buy Your Domain Name. Owning a website, one must have a domain name. A domain name is the address of your website or usually the name of your website or the one that we type in the address bar in a web browser when we visit a particular site. Example, the domain of this website is beyondbitcoin.xyz. Choosing your domain, the domain name must reflect you or the brand, products or services you will be offering online. It must be catchy and easy to remember. To acquire a domain name, just follow the simple steps below. 3.1. 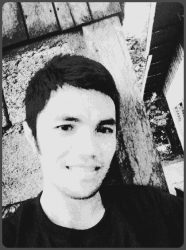 Create a Namecheap account. 3.2. Check the availability of your domain name. 3.3. Purchase your domain name. For the complete step by step guide on buying a Namecheap domain name, kindly see this post on How to Buy a Namecheap Domain Name. 4. Request Your Hosting Account. 4.5. Follow the instructions given or open the email from AIOP which contains instructions and your CPanel login credentials. Tip: Change immediately your CPanel password to differ it from your AIOP password. Always use strong and unique password from all your online accounts. For the complete step by step guide on requesting a hosting account, kindly see this post on How to Request a Hosting Account. 5. Install WordPress on Your Website. 5.1. Log in to your CPanel account. 5.2. Look for the WordPress icon. 5.3. Click “Install Now” button. 5.4. Supply the necessary details of your website. 5.5. Select theme for your website. For the complete step by step guide on WordPress installation for your website, kindly see this post on How to Install WordPress for Website. Start customizing your website by logging in to your website’s Admin page or WordPress Admin page (Ex. beyondbitcoin.xyz/wp-admin). There are three basic ways to start customizing your website like changing your theme, make your first ever post and make a website page. 6.2. Make a Website Post. 6.3. Make a Website Page. For the complete step by step guide on website customization, kindly see this post on How to Customize a Website. Also, here’s a help from Robert Mening on how to choose a good WordPress theme. Congratulations! You now have all the steps on how to create a website with ease. If you have questions, inquiries and suggestions, contact me now on this link. An all-in-one platform where you can learn and earn from Bitcoin, the first digital currency and other emerging Altcoins. If you are a beginner or a cryptocurrency enthusiast, start learning now to earn easy money online. Author: Conrad Abong Franco, Jr.